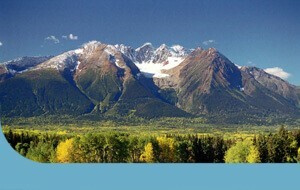 Smithers Community Services Association is a non-profit society, formed in 1973. We hope that the following description of how Community Services has grown over the years will be of interest. In 1972, the CELDIC Commission (the provincially funded Commission on Emotional and Learning Disorders in Children) offered a number of recommendations designed to improve and expand services available to children and adolescents. The Commission called for communities to become involved in planning and providing services to young people. It pointed out that existing programs tended to operate in isolation from each other and highlighted the difficulties experienced in rural areas where resources are lacking. The CELDIC Commission encouraged the development of community councils or boards, which could more effectively meet the needs of young people. In the spring of 1973, a variety of meetings were held in Smithers focusing on the needs of children and adolescents in the Bulkley Valley. Members of the public as well as the professional community attended the meetings. The meetings concluded with an agreement to develop a community based organization, which could coordinate services for children and youth as well as involve members of the community in such services. Consequently, Smithers Community Services Association was incorporated on October 25, 1973 as a charitable non-profit society. To develop and improve the social resources of the community. To set priorities for the resources to be developed by surveying the needs of the community. To co-ordinate and utilize all existing and available community facilities, resources and services. The Northern Training Center (since 1973) was the first program operated by Community Services. Situated on the former Dominion Experimental Farm Property, a few kilometers east of Smithers, the Training Center offered a residential, co-educational program to help mentally challenged adults learn skills that could help them become more independent. In 1974, Community Services started the Drop-In Center, an outreach program for adolescents, which offered a safe place, support and counseling services. Over time, there have been many changes to the programs offered by Community Services. These changes occur because of changes in community resources, changing needs of the community and changes in funding priorities. Some programs once managed by Community Services became redundant as originally formed and were either discontinued or replaced by other programs. Other programs grew to such a degree or were so specialized that they formed their own non-profit societies. Examples include the Smithers Receiving Home Society, the Smithers Home Support Society and the Northern Society for Domestic Peace. The overall governance of SCSA comes from the direction of a community-based volunteer board, composed of seven directors. Additionally, SCSA conducts a strategic planning session each year where the annual business plan is developed and affirmed by management, staff and the board of directors. This includes an assessment of community values and priorities and comprehensive discussions to ensure the vision and mandate re aligned with the organization’s practices. Operational matters are the responsibility of the Executive Director who oversees all aspects of the society in conjunction with a management team. Presently, Smithers Community Services Association provides over 20 programs, administers an array of services and businesses, amd employs over 40 staff. Smithers Community Services Association is dedicated to the provision of services that enhance the equality of life and promote equal opportunity for all people within our community. We are committed to excellence in advocacy, service development, and evaluation. We work toward these goals in partnership with staff, volunteers, clients and the community. To identify, develop, and deliver services that improve the social resources of the community. To do such things as may be incidental or conducive to the attainment of the foregoing purposes. To advocate for the development, and improvement of services designed to enhance the social resources of the community. To acquire, construct, hold, own, supply, operate, manage, and maintain housing accommodation and incidental facilities in order to further the above-mentioned purposes. To identify, develop and operate viable business enterprise activities to assist in furthering the above-mentioned purposes. As a COA accredited organization since 2004 and in operation for more than 40 years, we re-affirm our commitment to excellence in advocacy, service development and evaluation. We will continue to work towards these goals in partnership with staff, volunteers, clients and the community.